It’s easy to put off addressing a problem when the consequences seem minor or far away. For instance, many people struggle to save for their retirement because their immediate financial needs always seem more pressing. The same issue convinces us not to take swift action on environmental degradation and climate change. We know these problems will have ramifications, but as long as they seem distant, it’s easier not to change. For the fishing industry, however, the dire economic effects of climate change and overfishing have forced some entrepreneurs to reevaluate the way they do business. Bren Smith, the founder and executive director of Greenwave—an organization working to reinvent the blue-green economy—shared his story at the Collaborative. “The biggest mistake the environmental community made was framing climate change as an environmental issue. It’s not. Bren Smith began his career as a fisherman when he was 14 years old, working hard in Alaska and the Bering Sea. But when the ocean can’t keep up with demand and damaging farming techniques, hard work alone won’t sustain you. “I was working in the Bering Sea when cod stocks crashed. That was my first wake up call,” he said in an interview at the Collaborative. After he moved into oyster farming, hurricanes decimated Smith’s crop two years in a row. Research suggests that warmer ocean temperatures caused by climate change are creating stronger hurricanes, like we’ve seen in recent years. Smith points to Hurricane Sandy’s impact on jobs as just one example of how ignoring climate change has disastrous effects on working people. “This is about jobs, this is about livelihoods just as much as it is about the ecosystem,” he said. 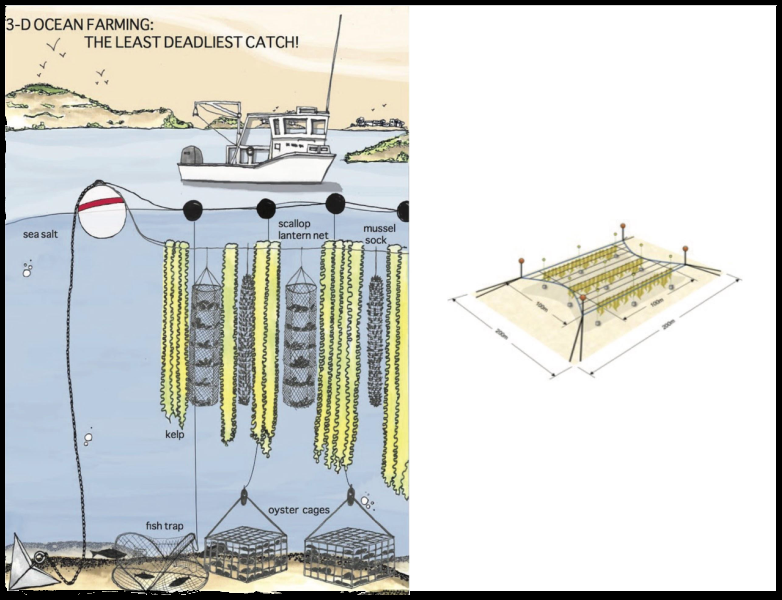 Seeing firsthand the issues that make traditional fishing unsustainable, Smith developed a system of 3D ocean farming that allows him to produce two kinds of seaweed and four types of shellfish in one place. The farms grow food in three dimensions, maximizing yield from each acre. But from ground level, all you see are a few buoys. His ocean farms produce incredibly nutritious foods with the health benefits of fish without the destructive effects of fish farming. The seaweed also creates fertilizer for land-based farms and produces biofuel. All of this requires none of the resources needed for traditional farming, such as fresh water. But the end result of these 3D ocean farms is not to leave behind no environmental footprint—it’s to clean up the damage that has already been done. “In my own little way,” said Smith in a TEDx talk, “my farm is running as a carbon sequestration plant.” He explained that the kelp he grows absorbs five times the carbon used by land-based plants. Meanwhile, the oysters he grows filter nitrogen from the sea. When faced with the present-day consequences of climate change, Smith and other ocean farmers are proving that there are solutions available for workers in the seafood industry. Greenwave makes the farm’s information open source and trains new farmers to replicate Smith’s success. “The new face of environmentalism to me isn’t about protecting bears and birds, it’s really about this nexus of job creation, of ecosystem restoration and re-imagining the economy. In order to get the general public on board with large-scale environmental action, the social sector’s best strategy may be to appeal to America’s pocketbooks. In our interview, Smith pointed out that the conversation so far has been framed as if economic sacrifice and job loss are indelibly tied to environmental protection and restoration. “You got coal miners, you got fishermen, all these folks that don’t support the changes because their jobs are threatened. That’s our job as environmentalists and conservationists and folks in new economies to create alternatives for these workers in the old economy and shift them over,” he said. As Bren Smith and many others have experienced, climate change and its ramifications are already costing us productivity and profits. 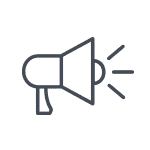 Therefore, reframing the conversation to focus on what he calls the blue-green industry could help environmental organizations turn the people affected by climate change into advocates for the cause. 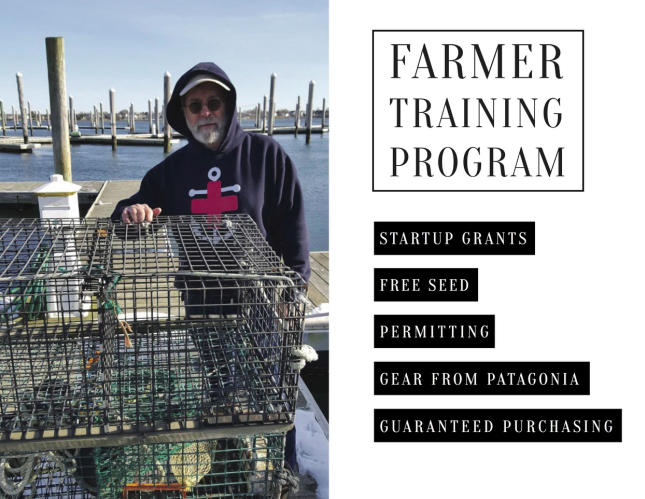 Greenwave gives grants and ocean farming training to people who have made their living on the ocean for generations. The organization also works with communities, employing people in packaging, hatcheries, and seafood hubs. They work with high-end chefs to incorporate sea vegetables into the American palette. By making a movement by and for people, Smith and Greenwave make their environmentally sound ocean farming not just painless, but attractive and exciting. While ocean farming may be the pathway to sustainability for one industry, other environmental cause can benefit from focusing on transition as opposed to job loss. In his TEDx talk, Smith invites people to replicate these kind of innovations with wind energy and biofuel. Although the environmental community has long sought to shift the mindset of everyday people, Greenwave shows how adapting to meet workers’ needs can create greater buy-in from the public. Check out Bren Smith’s full talk from the Collaborative.